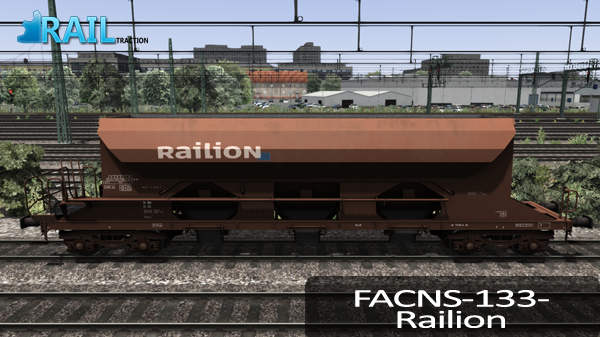 In order to use this product, you will need to have a legal copy of the base game Train Simulator 2013 and the RailTraction add-on Facns. 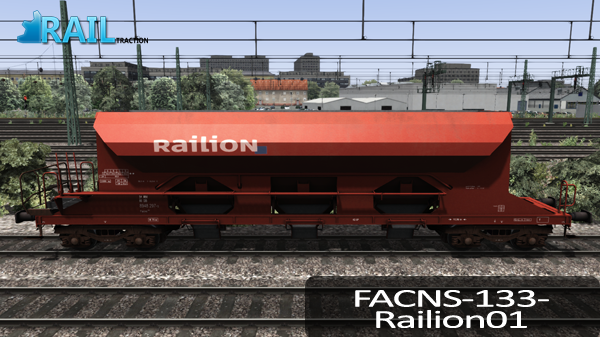 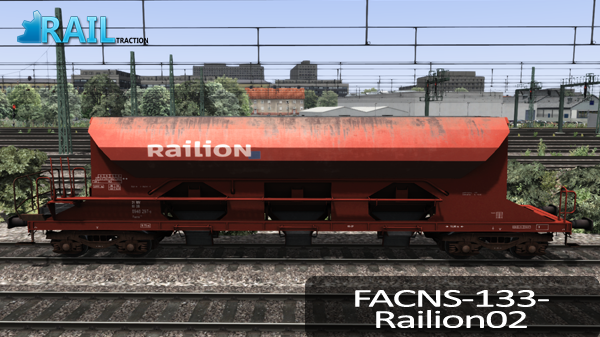 Welcome by the RailTraction online Readme of the add-on Facns. 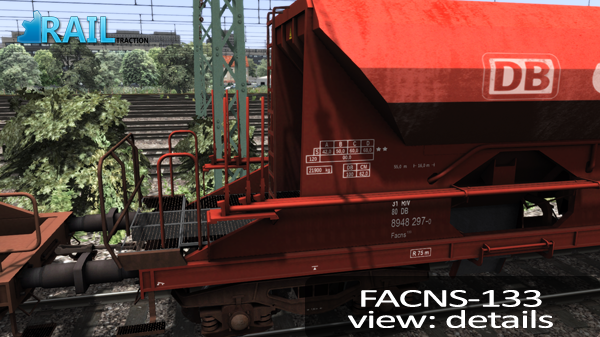 This add-on contains the European freightwagon Facns 133. 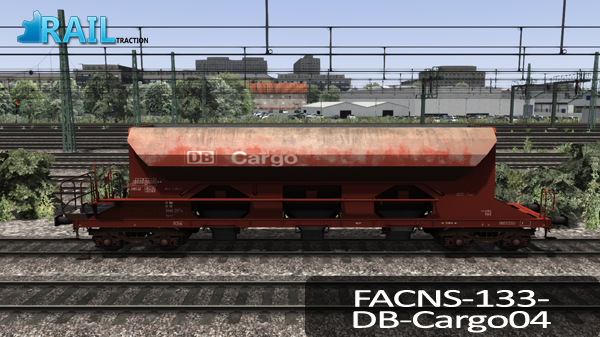 Included are 13 different skins. 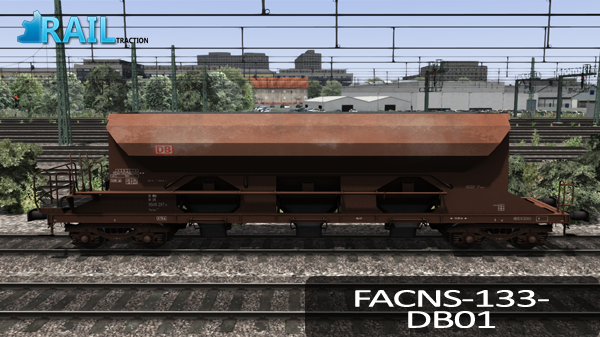 - Realistic recreation of the Facns-133 in 12 colorschemes and DB brands - which are listed below. 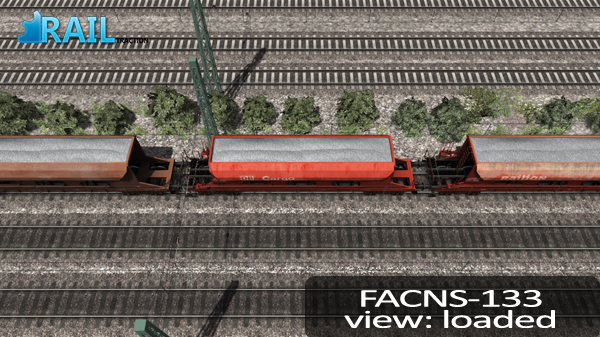 - Loadable and animated gravel freight. 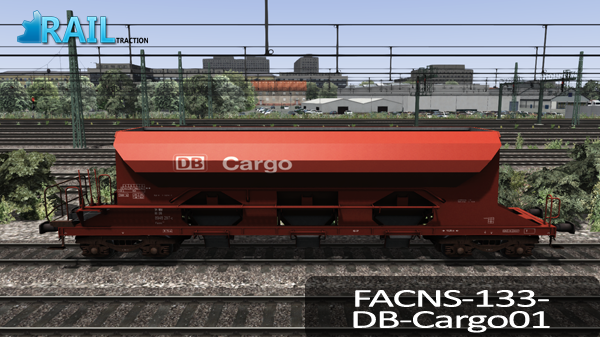 - There are two Free Roam scenarios included. 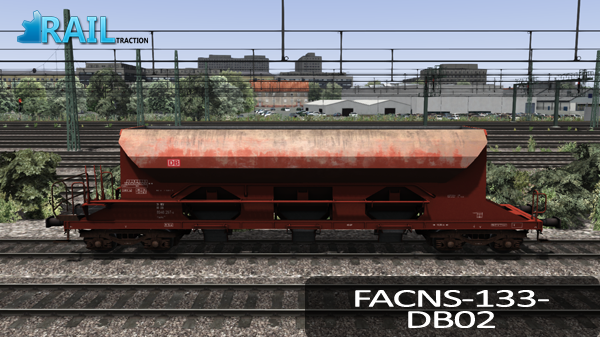 The add-on Facns contains one Free Roam Scenario for the Ruhr Sieg Line and is named "Facns133 Free drive". 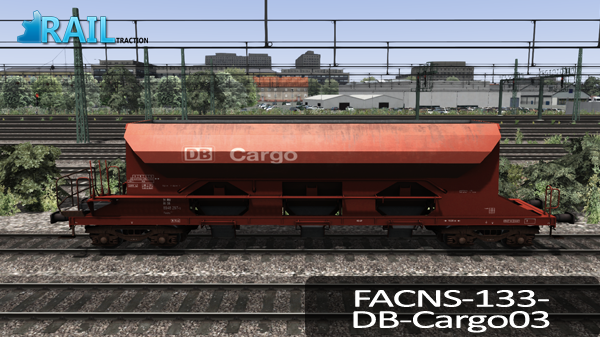 The Second Free Roam Scenario is available on the route Munich to Augsburg route and is named "facns133". 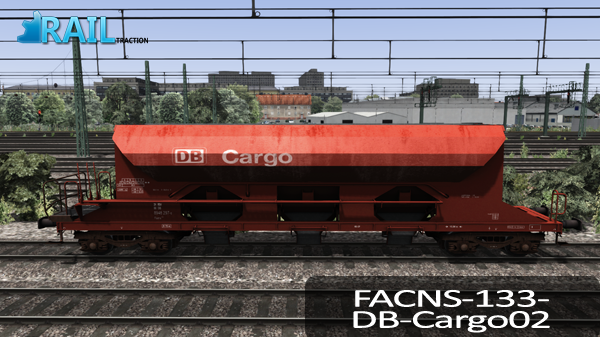 Please note: You will need respectivelly the upgraded version of Train Simulator 2012 or the add-on Ruhr Sieg Line from Steam and Train Simulator 2013 Deluxe or the Munich to Augsburg route in order to play both scenarios. 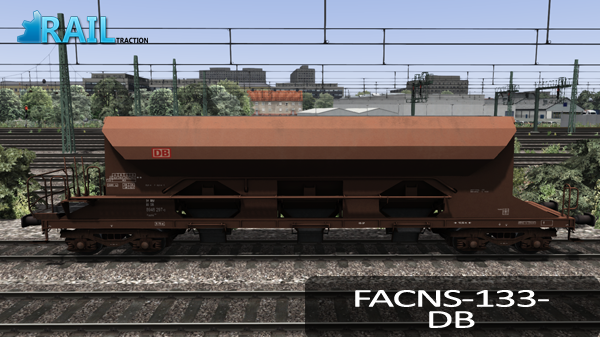 This tab informs you about the procedure to place the Facns in your own scenario. 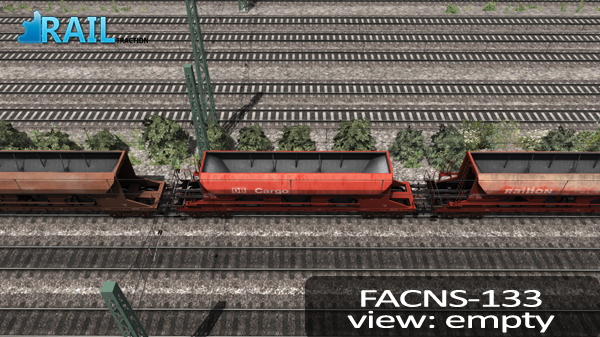 Please follow the next instructions. 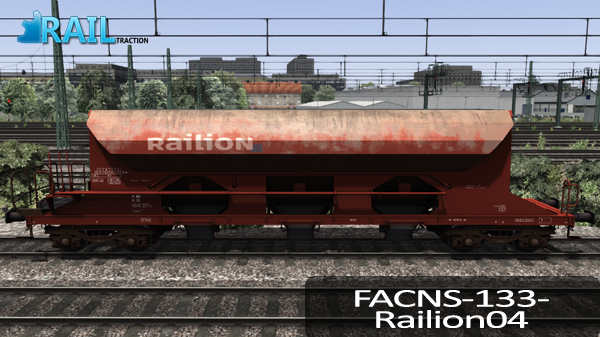 Now you will find the freightwagons in the tab trains named "Facns 133". 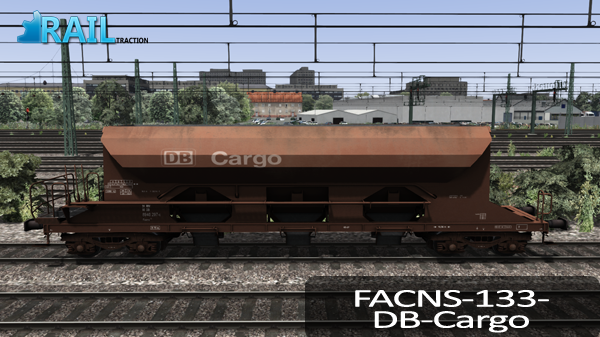 You are able (and allowed) to make reskins of the Facns.